According to the University Bylaws, “the commanding officers of the Army, Navy and Air Force ROTC units shall be department heads with the ex officio rank of professor in the Department of Military Science and Tactics, the Department of Naval Science and the Department of Air Science, respectively; and other members of the instructional staff in these departments shall have the academic rank below that of professor to which they may be appointed by the president upon the recommendation of their department heads. 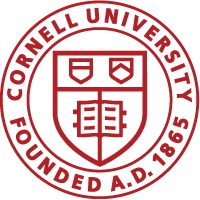 Non-teaching instructional staff in those departments shall be accorded the same University privileges as Cornell staff. Unless sooner terminated by the university, all appointments in these departments terminate upon relief from military duty at the university.” Those with rank of professor also have voting status in the University Faculty. Relations between Cornell University and the ROTC program are monitored by the University-ROTC Relationships Committee. The officers nominated by the military services to give ROTC instruction at Cornell must be reviewed and accepted by this committee before the appointments are confirmed.